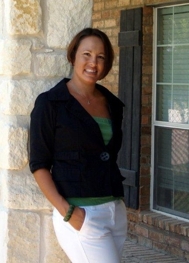 Are you wondering how the Housing Market in Rowlett is doing? If so, you're not alone ... it's actually a question I get a lot! Well let me tell you, The Rowlett Housing Market is certainly better than last year! Prices are steadily increasing and by that, I'm talking $10-20,000 more! Because of the increase in Sale Prices, more people are putting their homes on the market to sell. One not so good thing is that the Interest Rates are also starting to increase but they're still lower than what they were when the market crashed. Soooo what's my 2 cents??? Quite simply put ... If you're contemplating BUYING a home, the longer you wait, the more it's going to cost you! If you're contemplating SELLING your home, now really is a great time! Below are the Numbers of how the Housing Market was during April, May & June in Rowlett as well how it compares to those months in 2012.